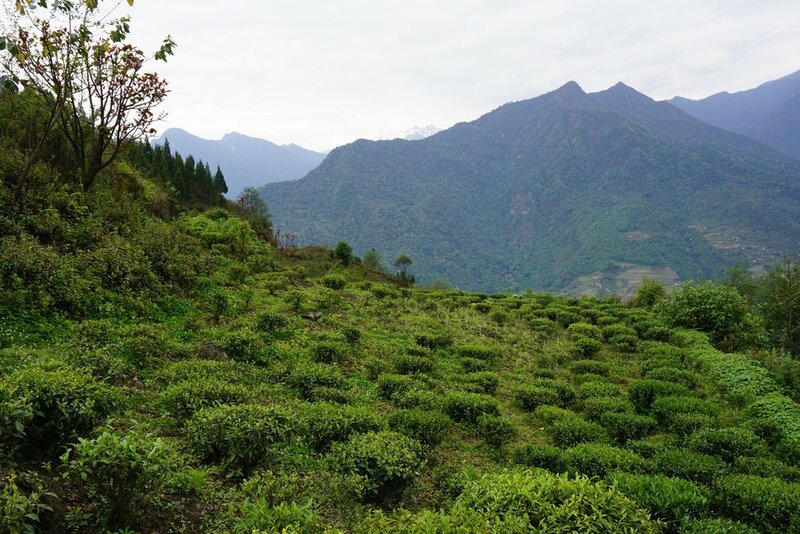 While working as an adventure travel guide in Bhutan in the mid ‘90s, I heard an offhand comment about an old tea garden in the central region, and it piqued my interest. In Pursuit of Tea was a few years down the road, but I was already fascinated with tea and exploring its various styles throughout the Himalayas. Despite its proximity to Assam and Darjeeling's long-standing tea industries, cultivated Camellia sinensis in Bhutan is unheard of. The local butter tea, suja, is made from imported Chinese post-fermented heicha, or indigenous plants like dried mistletoe or amcheka. Equally enjoyed is Indian black tea, often mixed with milk and sugar. Green tea in Bhutan is a novelty at best, popular in recent years for its purported health benefits more than any native tradition. After pressing various people for more details, I was told the tea plants had been cut down long ago. But I decided to go and look for myself. An hour and half drive from Trongsa town led me to the royal family's former winter palace. It was more like a manor house, and at the time, only inhabited by a gomchen, a monk who taught a handful of children inside. He didn't know of any tea on the grounds, but in a horseshoe-shaped field next to the house, I spotted something familiar. Lush with deep green, serrated leaves, and overgrown into small trees about 20 feet tall—here were the tea plants cultivated by the second king in the 1950s, and they were alive! I started working with the Ministry of Agriculture to propagate these neglected trees into the beginnings of a tea garden. The plants appeared to be West Bengal stock, namely the small-leaf Chinese C. sinensis var. sinensis variety used to make Darjeeling tea. A nearby family, who had some limited experience processing their handful of C. sinensis var. assamica plants into a rough black tea for suja, lent a helping hand. I returned to check in every year or so, but progress was slow. Significant production didn't kick in until a Korean botanist came to the area for three years, lending his technical support to teach the locals how make green tea. Once the Ministry of Agriculture built a stand-alone processing facility and teahouse in 2012, local customers began to come to taste and purchase the tea. In 2015, the royal government invited me back to help refine the tea, and to address issues of consistency. Currently, the facility functions as a cooperative of 27 women, all of whom pick and process about 10 acres of tea plants. They pluck two leaves and a bud by hand, then wither and pan-fire them in a typical style to halt oxidation. The leaves are then rolled by hand or a small machine, pan-fired again, and finished with exposure to hot air until fully dried. 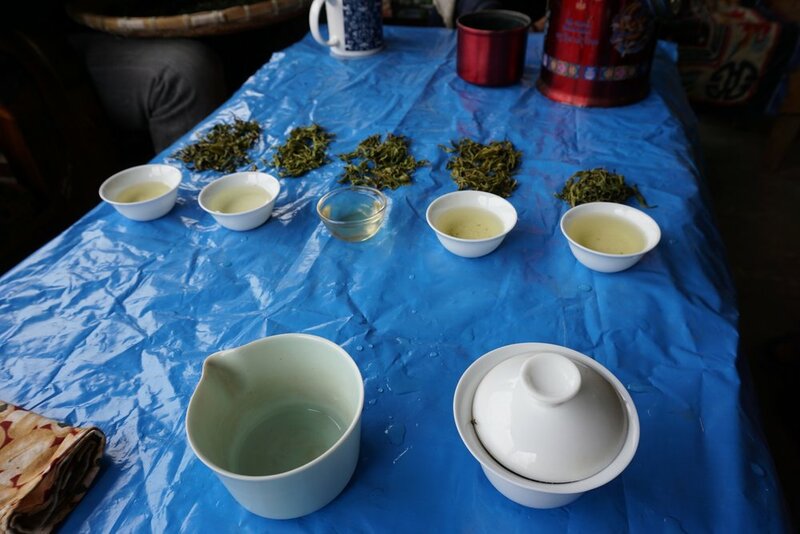 A one-of-a-kind hybrid of Indian plant stock, Bhutanese terroir and Korean technique, the tea is at once fruity, vegetal, and uniquely smooth. Unlike many green teas, the leaves stand up well to multiple steepings and nearly boiling water. Most of this tea is still consumed locally as a departure from the typical suja, but in 2016, In Pursuit of Tea, in cooperation with the government, established exclusive export sales to the United States and beyond. Since then, we’ve been working with the co-op to keep production consistent while improving output and quality, including stricter controls for withering the leaves and storing the finished tea in cool and odor-free conditions. I’ve even been experimenting with extending the oxidation period to see how we might transform these leaves into potential lots of black, oolong, or white teas. The name Thunder Dragon is in honor of the druk, a mystical figure in Bhutanese theology, and this Thunder Dragon Green has become one of our best-selling green teas. For all of our progress over the years, this is still a small co-op with limited output: This year we secured about 50 pounds of the best-quality leaf from the spring and summer harvests. We’re honored to share this unique tea with the West, and are excited for the opportunity to support this community agricultural endeavor. 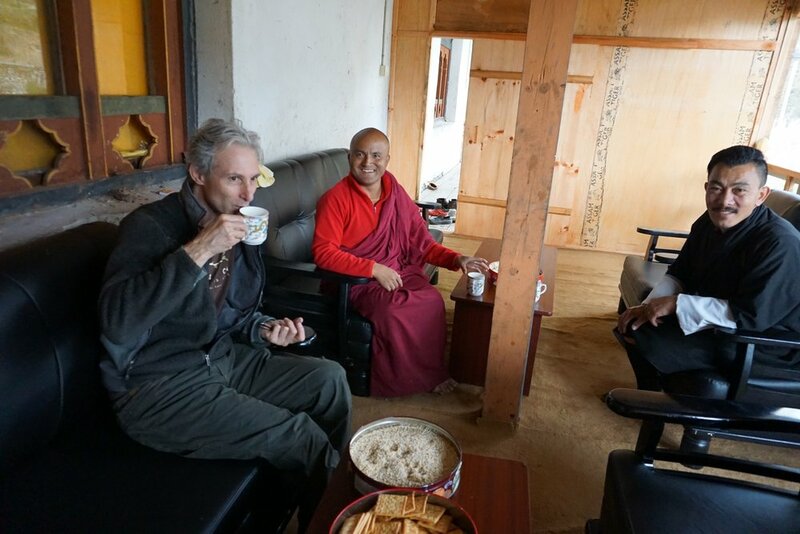 It’s a rare chance for us all to foster a new Bhutanese tea tradition and watch it thrive.